Salty air, friendly locals, towering trees, and the gentle crash of waves on soft sand — all this and more awaits you on Oregon’s beautiful North Coast! Read on and plan your escape today; our beautiful Cannon Beach vacation rentals await! With so many things to do, see and enjoy on any trip to the area you are sure to have a great trip to Oregon when you stay with Beachcomber Vacation Homes, that's our promise. to exceed our customers’ expectations each and every time they come for a visit to the Oregon Coast. Beachcomber Vacation Homes offers clean, comfortable Oregon Coast vacation rentals with all the amenities one could want on a vacation in Cannon Beach, Arch Cape, and Falcon Cove. Seeking a classic, family-friendly coastal cabin? Or perhaps you were dreaming of a rambling oceanfront stunner? We’ll help you find a rental home perfectly suited to your needs and desires, but our promise of service doesn't stop there! When you arrive, we’ll point you toward the best sights, treats, and eats in this fantastic region. Then, we’ll be on hand throughout your stay to help with any special requests, from selecting the perfect spot for a candlelit dinner to securing the last-minute services of a friendly florist. And there’s more to explore along U.S. Highway 101. Cannon Beach is the perfect launch pad for exploring miles of pristine, gorgeous coastline, and it’s located a short drive from a classic boardwalk beach town to the north and a string of charming coastal villages to the south. There are so many fun and exciting things to Do in Cannon Beach. Peruse our listings and follow your fancy to the ultimate beach getaway. We have a wide variety of Cannon Beach vacation rentals including plenty of pet friendly and luxury rentals! 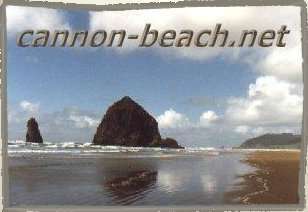 Explore all of our vacation home listings, or view our current Cannon Beach vacation specials. Ready to book or need more info, call us at 1-855-219-4758; we are here to help your vacation dreams come true!